This month's theme is "Pretty in Pink Party"
This month is is bellabox's first anniversay and they are donating $1 from every box to the National Breast Cancer Foundation. ESTEE LAUDER RESILIENCE LIFT INSTANT ACTION LIFT TREATMENT 5ml sample, RRP $100 30ml - Instantly lifts and firms your skin wherever and whenever you need it, you can even apply it over makeup. Claims to boost collagen production and elastin retention in the skin. 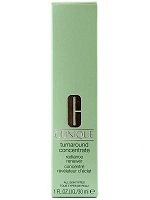 CLINIQUE TURNAROUND CONCENTRATE EXTRA RADIANCE RENEWER 7ml sample, RRP $74 30ml - Exfoliating serum without irritating your skin. Claims to create a luminous from within radiance. 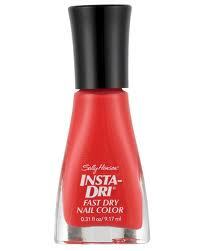 SALLY HANSEN INSTA-DRI FAST DRY NAIL COLOUR, full-size sample, RRP $13.95 9.17ml - I received the shade 260 Sonic Bloom. It is a really bright coral red matte shade. DKNY FRESH BLOSSOM EAU SO INTENSE, perfume sample, RRP $135 100ml - Delicate florals, citrus and a crisp apple blossom accord combine for a feminine and sensual scent. 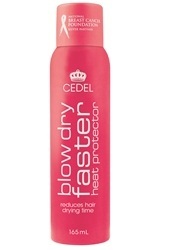 CEDEL BLOW DRY FASTER HEAT PROTECTOR, full-size sample, RRP $9.99 165ml - 2-in-1 formula reduces blow drying time whilst protecting each strand from abrasive heat. Infused with silk and wheat protein, leaves hair soft, frizz-free and super shiny. UPDATE: I used this today after I washed my hair. The first ingredient in this spray is Alcohol and I think that is what makes the water disperse so your hair drys quicker. It also includes Dimethicone, Panthenol, Wheat Protein and Silk and they should be good for your hair. I don't normally blow dry because it is too damaging for my fine hair but I tried it on my fringe and it does indeed dry faster. I also noticed that the rest of my hair that I didn't blow dry also naturally dried faster than normal, so it works without blow drying too. I didn't notice that it was any shinier than normal and did nothing for my frizzy locks, so that's a bit disappointing. 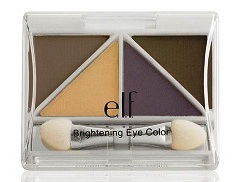 E.L.F BRIGHTENING EYE COLOUR, full-size sample, RRP $3.99 - Eye shadow quad 'Hazy Hazel', nice collection of shades for Hazel eyes I think. 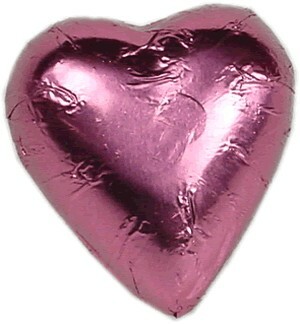 CHOCOLATIER PINK HEART CHOCOLATE - Nice!! Good variety of products but nothing that really interests me, I feel really flat with this month's box. Good value yes, just nothing I would want to go out and buy. It isn't really matching my profile. I don't use nail polish, I don't like floral perfumes and I don't blow dry my hair. Most importantly of all I refuse to use Estee Lauder products because they test on animals.